Lismore Aviation Expo has a new sponsor that knows the sky’s the limit when you pursue a real passion. 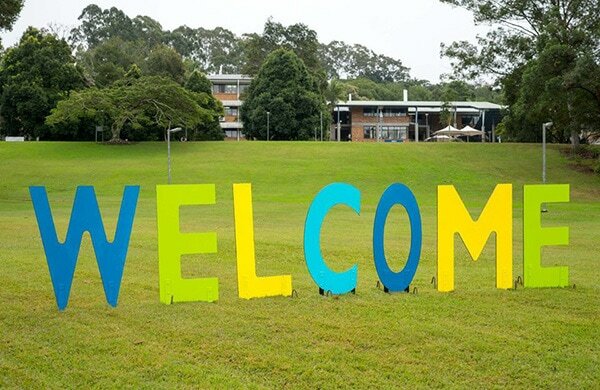 Southern Cross University is hosting an open day for all students on Saturday, 28 July at its Lismore campus, or you can visit their stand at the Lismore Aviation Expo on Sunday, 29 July. The open day coincides with the All About Aviation education day at the Lismore Aviation Centre, making it an excellent day for all prospective students, from school to mature age, to see what is out there and what inspires them. Whether it’s taking to the skies as a commercial airline pilot or delving the oceans deep as a marine biologist, becoming a human rights lawyer or obtaining a masters in surfing, Southern Cross University can help you turn a dream into a reality. “We are thrilled to have Southern Cross University as a major sponsor of this year’s Lismore Aviation Expo. We have a really big aviation education and training industry in Lismore and I think Southern Cross is a great fit for this event,” Business Development Coordinator Danielle Hanigan said. The Southern Cross University open day on Saturday, 28 July is a great chance to talk face-to-face with lecturers, current students, graduates and course advisers who can give you an insight into Southern Cross courses and help you to decide which course is right for you. Details on information sessions and activities will be released soon, but in the meantime, register your interest at scu.edu.au/openday. If you can’t make the open day, come and talk to the friendly Southern Cross staff at the Lismore Aviation Expo on Sunday, 29 July. The expo is at the Lismore Aviation Centre in Three Chain Road, South Lismore, from 9am to 4pm. Entry is $5 with children under 16 free. There is no parking on site, however shuttle buses will run continuously throughout the day from 8.45am, picking up at Oakes Oval in Dawson Street, Lismore Lake and Lismore Airport terminal. Wait between pick-ups should be no more than 15-20 minutes. For more information, go to www.visitlismore.com.au.